The Supreme Court bench of the Chief Justice Dipak Misra, and justices A.M.Khanwilkar and D.Y.Chandrachud, on Monday, made it clear that every instance of wrong reporting by journalists cannot be equated with defamation. The observation, coming from the CJI Dipak Misra, who had upheld the constitutionality of Section 499 Indian Penal Code, dealing with the offence of defamation, is significant. In the instant case, the appellant Rahmat Fatima Amanullah, daughter of a former civil servant in Bihar, Afzal Amanullah, and a former Minister, Praveen Amanullah, had filed a complaint of defamation against Rajdeep Sardesai, the then Editor-in-chief of CNN-IBN, and Raghav Bahl, founder and former managing director of Network18, in connection with a story carried by their channel, which she alleged, had defamed and harmed her reputation and that of her family. On October 29, 2011, the Judicial Magistrate, Ist Class, Patna found a prima facie case against Sardesai and Bahl for the offences under sections 500 and 120B of the IPC, and ordered issuance of summons against them. Sardesai and Bahl challenged the order on the ground that there is no provision for vicarious liability in the criminal jurisprudence unless it is specifically provided by the statute. They also challenged the order on the ground that it is against the specific bar under sub-section (2) of Section 196 of Cr.P.C. Rahmat approached the Bihar Industrial Area Development Authority (BIADA) in April 2010 seeking a piece of land to set up a food processing unit. On July 18, 2011, the IBN-7 Hindi news channel aired some news regarding scam in the allotment of BIADA land, making certain specific allegations, which Rahmat found scandalous and defamatory against her and her parents. Rahmat alleged that the channel shared news with the public with the tacit knowledge and approval of Sardesai and Bahl, without verifying the genuineness and correctness of the news, with the object of increasing the channel’s TRPs. Sardesai and Bahl, in response, stated on oath that they had got no role to play in the alleged defamatory story or in the editing of the news channel IBN-7, and that she merely dragged them for the reason that they were holding high offices in the channel. They submitted that the IPC does not cast vicarious liability on a party not directly charged for commission of an offence, unless specifically provided therefore, in the statute itself. The Patna High Court, while deciding the appeals filed by Sardesai and Bahl, found that there was no allegation that they directly used defamatory words in the manner referred to in complaint petition. 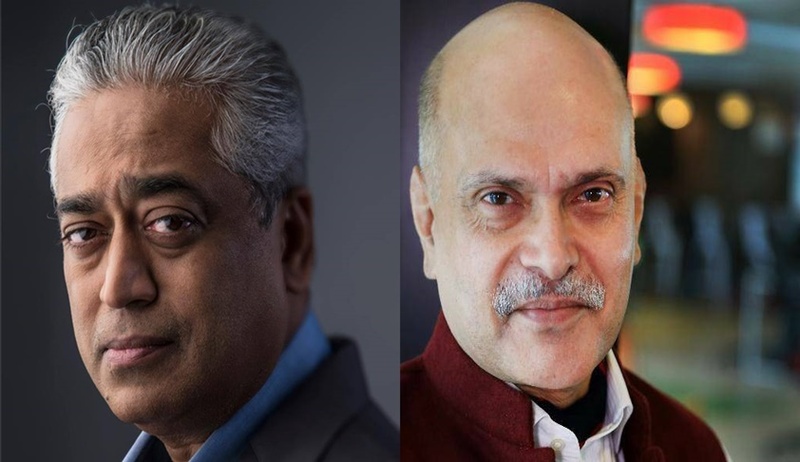 Relying on legal precedents, the high court held that there is no statutory provision for vicarious liability against Sardesai and Bahl, for the act committed by their other associates. The high court held that cognizance for its conspiracy, under section 120B of the IPC, without the consent of the State Government or the District Magistrate was bad in law, and therefore, not sustainable. The high court had further held that there was no direct allegation of defamation against Sardesai and Bahl, and that Sub-section (2) of Section 196 CrPC bars cognisance for the offence under Section 120B of the IPC, for criminal conspiracy to commit defamation. The high court judgment, quashing the summons against them, was delivered by Justice Birendra Kumar. The high court found that there is no allegation that Sardesai or Bahl used defamatory words in the manner referred to in the complaint. The high court also held that there is no statutory provision for vicarious liability against the petitioners for the act committed by the other associates. The high court further held that cognizance for conspiracy, under Section 120B of the IPC, without the consent of the State Government or the District Magistrate, is bad in law, and therefore, not sustainable. Agreeing with the high court’s reasoning, the Supreme Court bench, on Monday, dismissed Rahmat’s SLPs.